Litigation is usually the last resort to solve a dispute or enforce a claim. Many parties of a dispute try to avoid a litigation process because they fear the court costs or to lose the process. However, sometimes litigation is the only way for a party to obtain relief. Therefore, it is good to know, that the Thai justice system is generally accessible and unbiased. Also, the time it takes for a judgement is reasonably fast. Before the litigation starts, the creditor’s lawyer should send a written notice to the debtor demanding the outstanding payment and giving a certain period of approx. 14-30 days to comply with. If the debtor is still unwilling to pay, the creditor’s lawyer will prepare a case and submit to the first instance court. Thereby the party has to take into account, that the Thai Civil and Commercial Code (CCC) prescribes prescription periods (from one month to ten years) within which legal action must be taken. For most commercial contracts, the prescription period runs from two years to five years. Due to the fact, that the distinction of the different prescriptions can be difficult, it makes sense to take action earlier rather than later. After accepting the complaint, the court will schedule the first court hearing date in order to pursue the case. The defendant has to submit his answer to the complaint of the plaintiff to the court within 15 days if he or one of his representatives received the complaint personally. If personal delivery is not possible, the court officer will post the complaint at the defendant’s address, in this case, the defendant has to submit his reply within 30 days after the complaint was posted. If requested by the defendant, the court may set a date for mediation between the plaintiff and the defendant. Such mediation may take place one or two times depending on the negotiation result. If the mediation is successful, a formal settlement is established, and the court can close the case. 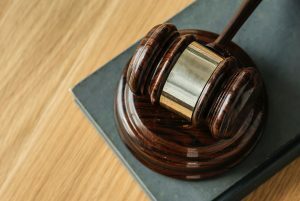 If the Mediation is not successful, the court will set a date for the formal hearing in which the plaintiff and the defendant may present evidence to the court. The parties have to submit a list of witnesses prior to the hearing. It is possible to call evidence from a witness who is not on the evidence list if the court approves it. If a witness does not speak Thai, the party who called the witness must provide a translator. Documentary evidence must be authenticated by a witness. If the document is not in Thai, a certified Thai translation must be enclosed. After completion of the regular court proceeding, the judge will then render the judgment based on the evidence presented to the court. The judgement is given in writing and read in court. Time spent to pursue the case in the first instance court is approx. 6-12 months. The case may be elevated to the appeal court if either the plaintiff or the defendant does not agree with the judgment to be made by the first instance court. An appeal must be filed within one month after the judgement. Time spent to continue pursuing the case in the appeal court is approx. 1-2 years. After the final judgment has been rendered in favour of the plaintiff, the plaintiff will submit it to the Legal Execution Department for enforcement.